Took a while to get to editing this video from Octoboer 2017. Beach water sports around Oahu including Waikiki outrigger canoeing and surfing. 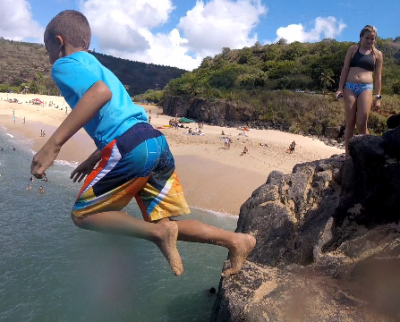 See rock jumping from 25 feet up at Waimea Bay Beach Park to the ocean below. Brief stops at Pearl Harbor, Rabbit Island, and Pali lookout while driving around Oahu.